Offering you a complete choice of products which include portable dehumidifier. We are leading manufacturer and exporter of Portable Dehumidifier and our product is made up of good quality. We provide an unmatched range of Portable Dehumidifier, with a wide range to our esteemed clients at a comprehensive price range. These are specially designed and made under the leadership of our expert professions that are made to meet the demands of our esteemed clients. We offered range of products are widely used in various used for controlling humidity in covered areas. 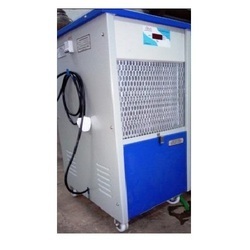 Looking for Blygold Dehumidifier ?